The rigid borescope is designed and manufactured to comply with up to date standards for a wide range of industrial applications. These rigid borescopes provide a higher resolution image than the flexible fiberscope or videoscope due to their direct glass lenses. 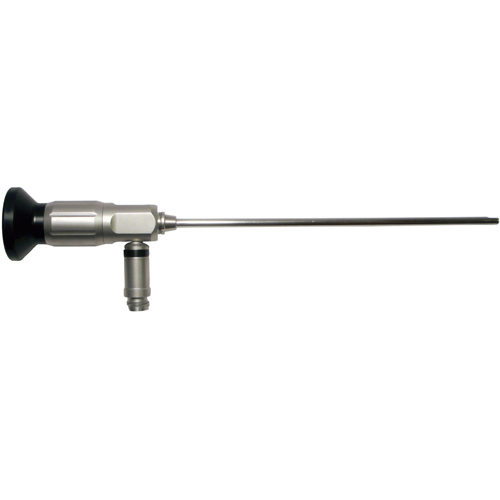 The body of the scope is manufactured from stainless steel and is dust, water, oil, gasoline and diesel proof. These borescopes are great for metal casting inspections. These rigid borescopes are designed and built with crystal clear rod lenses to provide crisp images and clear inspections. 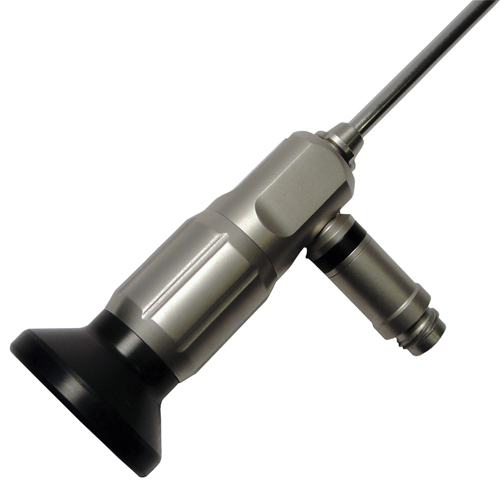 The rigid borescopes light guide port can receive various manufactured light guides and light sources. The rigid borescope lighting is usually transferred from an external light source via separate glass fiber bundles to the tip, where it emerges. 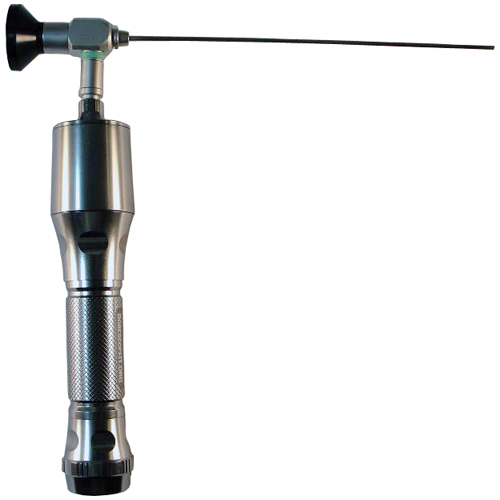 The rigid borescope can be used with both portable LED light sources as well as stationary light sources with halogen, metal halide or LED lighting. The rigid borescopes are available with focusing and non focusing eyepieces. For our casting houses that have high usage and frequent damage issues, they prefer the lower cost non-focusing rigid borescopes. It allows them to perform the inspections for FOD, debris and other quality sensitive issues without having to invest in higher cost focusing units. Focusing rigid borescopes are the choice option for inspection and lab professionals that require the greatest detail and quality. Video recording and photography are available by connecting an USB Camera attachment to the Rigid Borescope eyepiece. These are designed to be used with your laptop or PC work station.